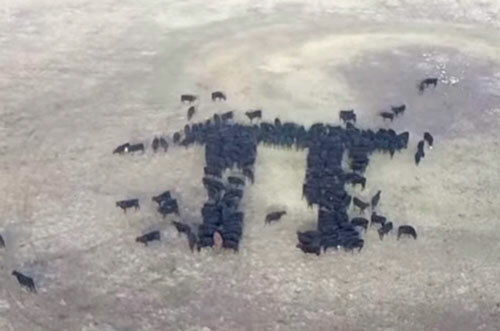 AN American farmer is using his cow herd and the vast open plains of Kansas to create art. 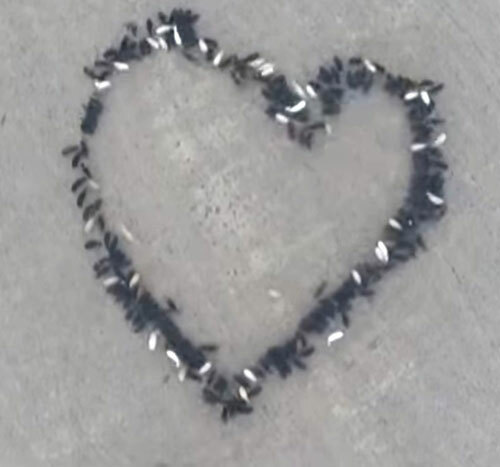 Derek Klingenberg sends his drone 140ft into the air to record his black Angus herd forming smiley faces, love hearts and even mathematical symbols. 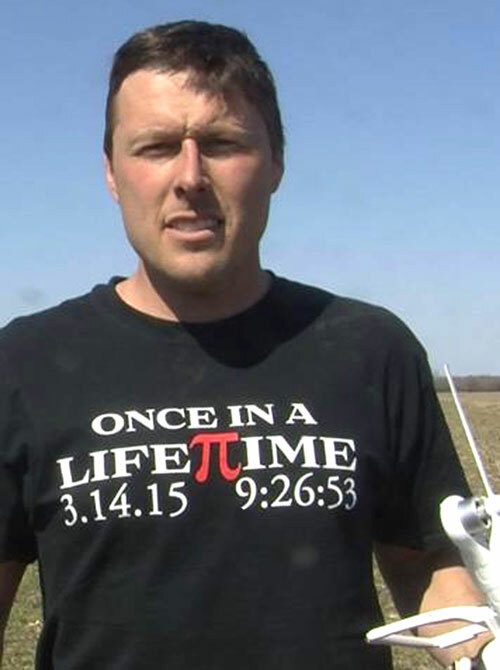 The 36-year-old from Kansas in the United States uploads his videos online, and they have already had almost a million hits. Derek uses his tractor to place feed in carefully determined points around a field. The cows rush to get their food and create shapes which are clearly visible from the air. 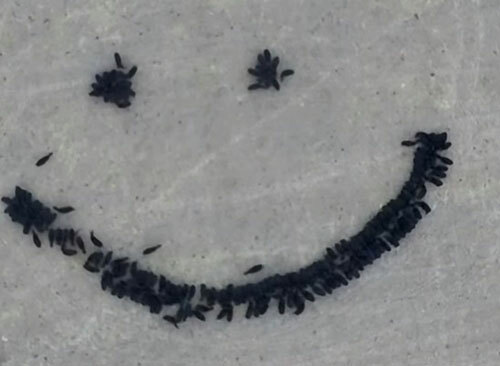 His first creation was back in January this year, when he decided to see if he could make his cows form a smiley face. An eight-minute video shows the cows following his food truck into a field, and gathering around the areas he places the hay. He begins with two circles for eyes, and then creates a wide arc to establish a mouth. As the animals move around, Derek can be heard shouting “We’ve got a big fat lip over here” and “Oh there’s more on the eye”. After the success of the first attempt, the father-of-three decided to create a love heart for Valentines Day – and captured it on camera again. He plays Ed Sheeran’s ‘Thinking Out Loud’ over the video, which also shows two of his daughters riding in the tractor and waving at the cows. 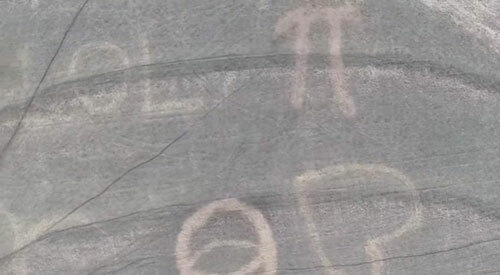 On March 14 – also known as National Pi Day – Derek took it upon himself to celebrate the mathematical symbol by once again making his cows form the shape. A drone flyover shows the dark animals standing in perfectly straight lines – which Derek says are “easier” for them to stick to. Derek, who farms near Peabody, Marion County, said: “I needed a reason to buy a drone, and so decided I would use one to make some cow art. “I just thought it would be fun – I can’t believe anyone actually watches my stuff. “The drone did get stuck one time – it’s currently being repaired because it crash landed. “The grass is coming through now so I’ll wait until next winter when the cows will need extra feed again. I’ve been given some ideas for my next one but I haven’t decided what it will be yet. He was first made famous last year when a video of him playing the trombone to his cows went viral, and racked up over nine million views. The clip shows Derek sat on a chair in the middle of an empty field. As he begins to play the trombone, hundreds of cows suddenly appear on the horizon and flock around him.